Life is the most wondrous journey, yet many have lost their way by not managing their life well. 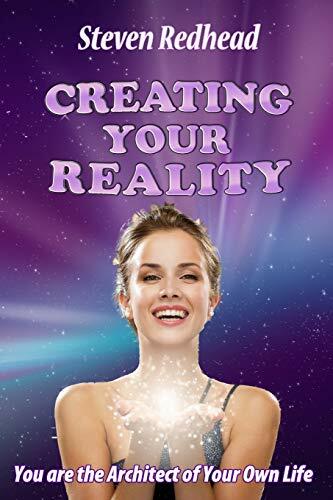 Creating Your Reality offers directions on how to return to your true life path, to finding your bliss, living a life that one truly deserves; a life of joy, contentment, happiness, peace, wealth, health; living one’s dream, creating the things one desires, gaining the knowledge to what life is really about. The book gives insight into The Secrets of The Laws of Attraction; that we are indeed the architects of our own life, so by harness the power of creation within us we can make the life that we truly desire. Creating Your Reality is a handy reference, intended to be a guide through life, through the journey of discovery to find out one’s true self. Obtain ideas that will enable you to gain insight into how to deal with what may arise; then progress to start living the reality you truly desire and deserve; live life as it was originally intended to be. This is what life is really all about, giving your own meaning to life so that you can live a life of contented bliss. Make the changes to ensure your life is what you desire and how only you intend it to be. Learn to live and create your own reality rather than living that of others. “Life was never meant to be difficult, it was meant to be wondrous adventure, we trade that ideal for whatever we have because of our complacency, or whenever we accept whatever comes our way,” shares the author. “We can set ourselves free by removing or eliminating anything that is undesirable in our life, no matter what or how high the cost”. Backed with personal insights and well-research studies, Creating Your Reality will inspire and motivate readers as it offers thoughts to overcome life's issues, allowing one to live the life imagined by creating what is needed to live the life that is truly deserved. Author Steven Redhead has over 35 years of experience writing motivational spiritually based philosophy, that is intended to inspire people into asking themselves the questions that will point them towards what they are searching for. Born in the U.K., the Author is a published songwriter, member of the British Poetry Society; having motivational articles published both in Japanese and international spiritual magazines and on independent web-sites. His inspirational quotations are featured on 39 independent motivational websites. The inspiring Youtube channel which is based around Steven’s philosophy has a large fan based following. He has spent 32 years in Asia, especially Tokyo, assisting large international businesses in Japan, Thailand, Singapore, China, Hong Kong, Taiwan as well as Brazil to succeed then prosper. Currently he has been living at Malaga, in southern Spain.